I've had a great harvest of sweetcorn from the allotment this year and I was eager to get it stored away, last year I left it on the plants for a little too long and the squirrels had a feast. Peel back the husks and the silks together. 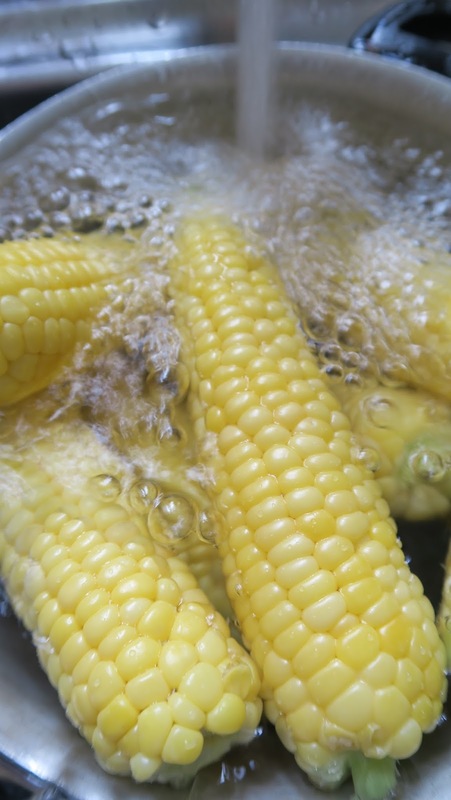 Drop the sweetcorn cobs in to pan of boiling water for two minutes. Blanch them by putting them into icy water or running them under a cold tap until cooled. This stops the corn from continuing to cook. You can freeze the sweetcorn still on the cob. I like to do this as I find removing it from the cob is quite a messy task and you end up slicing into some of the kernels. However, if you have limited freezer space removing the corn from the cob might be a better option. You might find that some cobs were not full germinated. Each silk on the sweetcorn is attached to each piece of corn. If each individual silk is not pollinated you may find gaps in the corn on the cob. 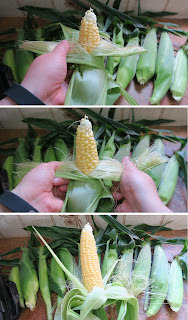 I usually do strip these cobs as there is not enough on them to warrant cooking the whole cob and I use these kernels in dishes where a whole cob of sweetcorn wouldn't be appropriate like stews and casseroles. Use a sharp knife and starting at the top of the cob slice downwards to remove the corn kernels. Rotate the cob and repeat the downward slice on the next side of the cob. Four slices should be enough to remove all of the kernels. Store the kernels in a small sealed freezer bag. 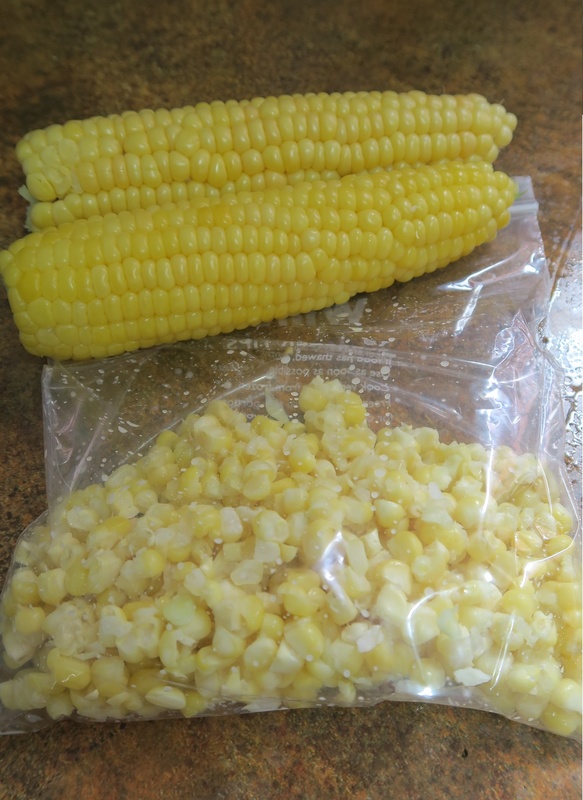 Each silk on the sweetcorn is attached to each piece of corn. If each individual silk is not pollinated you may find gaps in the corn on the cob. I usually do strip these cobs as there is not enough on them to warrant cooking the whole cob and I use these kernels in dishes where a whole cob of sweetcorn wouldn't be appropriate like stews and casseroles.